Sure, Spryo may be the ostensible core of Activision's hit Skylanders franchise but once upon a time, he started off as a simple pencil-on-paper drawing. 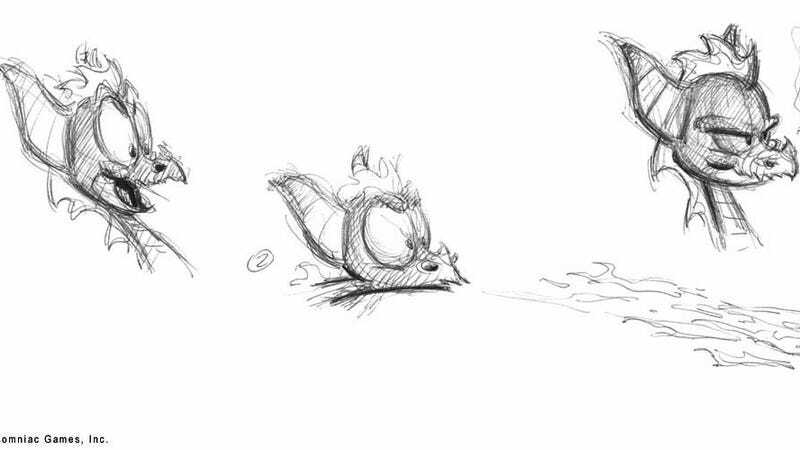 The sketches above come from an archive hosted at The Animation Academy and focus on the work of artist Charles Zembillas as he tried out multiple designs for the firebreathing lizard who'd become Spyro. Gamers today know him as a youthful, brash purple hero but it's really illuminating to see the concepts that had proto-Spyro as chubbier, goofier and taller.